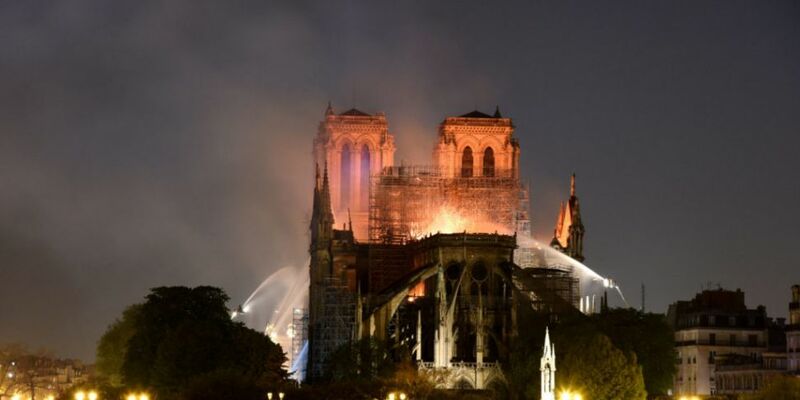 He visited the site of a fire last night which partially destroyed the 850 year old medieval building in Paris. The main stone structure, including its two towers, have been saved. However, the spire and roof collapsed. 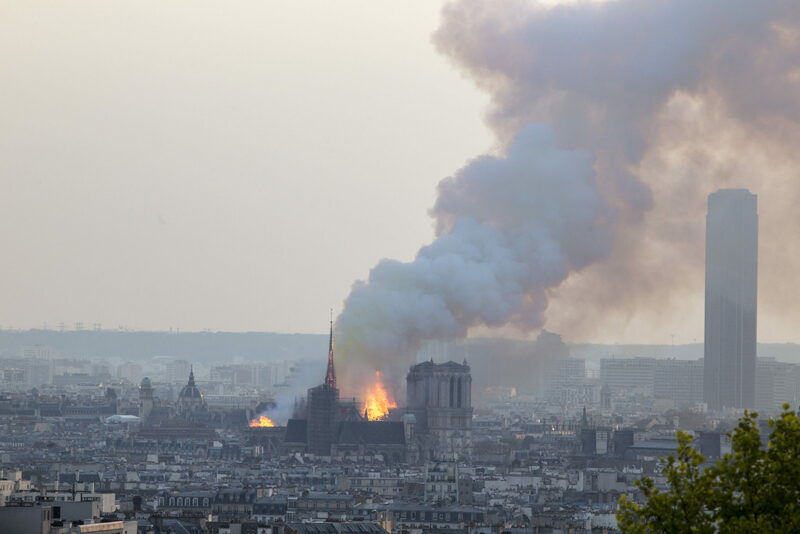 Smoke fill the air as Notre Dame cathedral is burning as seen from Montmartre in Paris, France on Monday, April 15, 2019. French President Emmanuel Macron says emergency services have managed to rescue the structure from total destruction. One of the richest men in France is donating one hundred million euro to the reconstruction project. François-Henri Pinault who's married to the actress Salma Hayek, says he wants to "revive the jewel of our heritage". 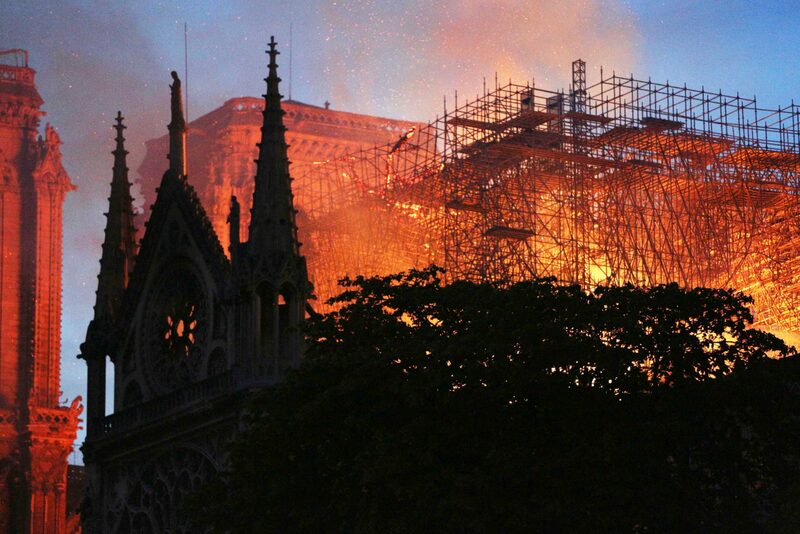 He says he wants to see the cathedral completely rebuilt. He's the chairman and CEO of the Kering group, which owns fashion labels including Gucci and Yves Saint Lauren.